The recall applies to some Toyota Prius and Auris hybrids made from October 2008-November 2014. The vehicles might fail to enter a "failsafe" driving mode, lose power and stall. TOKYO (AP) — Toyota Motor Corp. says it has issued a recall for 2.43 million hybrid vehicles in Japan and elsewhere for potential problems with stalling. The company said Friday that in rare cases the vehicles might fail to enter a “failsafe” driving mode, lose power and stall. Power steering and braking would still work but a stall at a fast speed could increase risks of a crash. The recall applies to some Toyota Prius and Auris hybrids made from October 2008-November 2014. The vehicles were involved in an earlier recall that did not fix the previously unanticipated problem that is being addressed now, the company said in a statement. 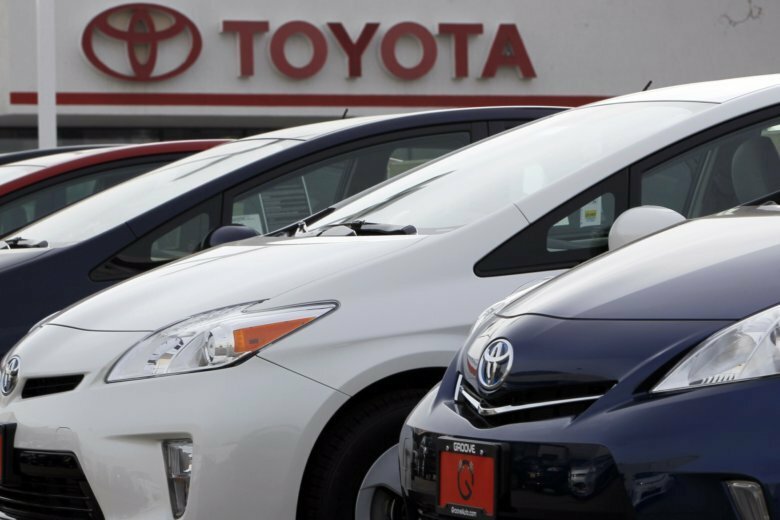 Toyota said it would update the software of the vehicles to remedy the problem for free. The recall applies to 1.25 million vehicles in Japan, 807,000 in the U.S., 290,000 in Europe and 3,000 in China with the rest across the globe. Toyota said it had received three reports in Japan related to the problem by the end of September and reported them to the transport ministry. They did not involve accidents. It would not comment on incidents outside Japan, saying it was difficult to be certain about actual cases. The recall is meant to address situations in which the failure of a specific component, coupled with hard acceleration, could cause the vehicle to lose power rather than enter a failsafe driving mode.